How to: Social Impact Through Design and the Arts? An Open Talk. 27.06.18 – 18.30 @ Cabaret Voltaire Zurich. La Città Libera. Installation and Workshops at the Swiss Art Awards, Art Basel 2018, 12-17.06. The Jungfrau Pavilion. The Architecture of a Landscape. Swiss Art Award 2018. Nomination for the Category “Architecture”. La Città Libera. Design Process Workshop. FHNW, Basel, 26-28.3.18. Somnia et Labora. Hotello at 999 Domande, Exhibition on Dwelling at Triennale Design Museum, Milano. Hic et Nunc: Die Besten 2017! Hochparterre Golden Rabbit Goes to Our a Design Education Impact Project in a Zurich Refugee Camp. Knowledge, Narratives and Devices. The Video of the IKEA Democratic Design Talk is Online. A great event at the IKEA Democratic Design Day at ECAL, Lausanne. Here is the video of Antonio Scarponi’s talk. Campo Libero (The Innocent House), at the XV Venice Architecture Biennale. Talking about Anti-Products, in Rethinking the Modular. There is Always an Alternative: Systems and Production. In Conversation with Nathalie Du Pasquier, Catharine Rossi, Jerszy Seymour. Thun. The Design of a Shadow Line. A Landscape Furniture. “No More Trite Design Theory! Listen to the Cry of the Creator’s Soul!” Or in this Case, Listen to my Smile: The “Triangular Design Manifesto” Published in AXIS Japan N.4 2015. Salone del Mobile 2015: Re Think the Modular (and Other Stories). HOTELLO, the Pop-up Office and Hotel Room, is Aired in the German National TV Program “Wissen vor Acht” in ARD Channel. Orto Perpetuo. A Year-round Edible Garden Module in Your Apartment. Urban Agriculture Survival Kit, Salone del Mobile, Milano 2014. TANTOOO. The Fairy Tale Bean Bag: A Lion Got out from the Zoo (of my Mind). Hotello in Neue Räume 13, Zurich 21-1 December. Hotello, the portable office / hotel room will be presented at Neue Räume, Zurich. Hotello, designed together with Roberto de Luca for das konzept, is a a unit of 4 sqm, conceived to extemporarily inhabit the empty lofts of the contemporary city. TANTOOO. The Fairy Tale Bean Bag: The Giraffe is Here. An Interview About ELIOOO, the Book About How to Grow Food Using IKEA® Furniture, was Aired on Hydrowshow, an UK TV Show About Hydroponics. An interview about ELIOOO was just aired in the UK television on the first show fully dedicated to hydroponics: hydroshow. Thanks to Nick Stokoe for interviewing me. HOTELLO. Somnia et Labora. A Portable Office / Hotel Room Designed for daskonzept Will be Presented at FuoriSalone 2013. A Corian® Shell: Trampolines Suite Hotel, Riccione, Italy. The Seventh Continent — Musings on The Plastic Garbage Project – Exhibition Review for Domus. Design for Eternal Youth. An Article Published in Domus 959 / June 2012. The New Kunsthalle Zurich. An Architecture Report I Wrote for Domus Magazine. 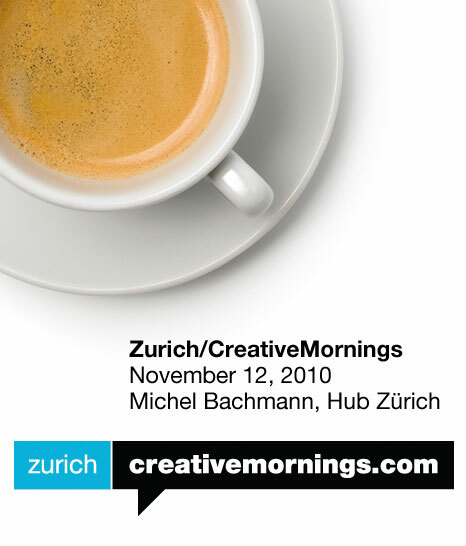 Arts + Tech = I am Going to Talk at CreativeMornings, Zurich June 22nd. The Dreaming Wall Featured in ‛Design Like You Give a Damm ’ by Architecture for Humanity. Poker of Events in Milano at Salone 2012. TANTOOO! A Place Where to Read (and Write) Fairy Tales. #ADAD. Coffee Break of a Revolution. Somewhere Between a Manifesto and a Santa Letter. RE-USE, the DIY Notebook and Diary. Long Life to Your Scrap Paper! READYKEA an Exhibition Device for DADA New York II: The Revolution to Smash Capitalism. Edge Park. Malthus Goes Venice. An Exhibition at Parco del Contemporaneo. Malthus, a Meal a Day. Or How I Learned to Stop Worrying About the Food and Love the (Population) Bomb. Design Narrative. 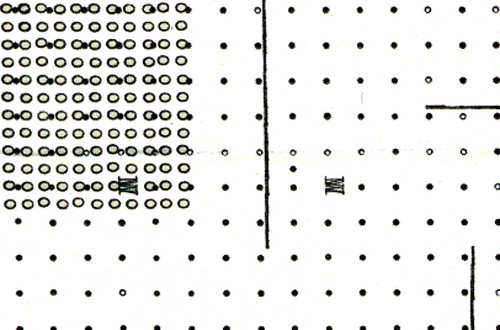 Phenomenology of Concrete Storytelling. Fish and Crops: Design Royale Workshop Results Will be Pesented at Fuori Salone During Milano Design Week. Talk: @ Paper & People, 13/04 Milano. I am the Media. You are the Message: Italy up in Smoke, Promote the Italian Constitution. Our Proposal for CONDITIONS Architecture Magazine # 7 _ The Future of Competitions: Tell’em What they Need _ Is on Its Way for Press. The Hub Zurich. Designing of a Co-Working Space for Social Change. The RE-USE 2011 is Out! Happy New Year! Three Minutes of Korean Popularity. Just Undo It: Interview with the TV Program Sponge Zero. Meet the Creative Mornings’ Crowd at the Hub Zurich. The Hub Zurich: Toilet/Kitchen Combo Presentation. The Hub Zurich Co-Working Space for Social Innovators: Construction Started. Human World as cover for an India China Institute publication. No-Stop thinking. An interview with Andrea Branzi. Stefano Mirti published on Abitare’s blog this interview I have made with Andrea Branzi in November 2004. The original version was released in 2005: ‘Andrea Branzi: la ville continue [Interview with Andrea Branzi]’ in Moniteur Architecture AMC no.150 March 2005 / p.88-94. It was never published in Italian before, so thank you Stefano. Conferenza Antonio Scarponi, giovedi 10_12_09 H 15:00, Politecnico di Milano_Sede Piacenza_Aula 6. Friday 16 th October at 11.00 am talk “Manuali Metropolitani / istruzioni per l’uso” @ festival della creatività, sala dell’arco, fortezza da basso, Firenze. RIKEA Honorable Mention @ International Architecture Biennale in Rotterdam. RIKEA @ Squat City IABR International Architecture Biennale, Rotterdam. Our project RIKEA (a manual about how to make a free market set with Ikea re-assembled furniture) will take part at the International Architecture Biennale, Rotterdam 25 Sept - 10 Jan 2010. Our participation includes a prototype and a “mini” documentary that will be part of the Urbaninform platform. Wired Unplugged. How To: Destroy the First Issue of Wired UK and Make Something with it. They say printed magazine are dead. Wired Unplugged is a proposal to give them a second chance. This project was published on the second issue of Wired UK and the second issue of Wired Italia. If you feel frustrated about the instructions you can watch the how to videos here and here. Wired Unplugged on WIRED UK #2 is Out! The story I have wrote for the first issue of Beyond magazine is now published on the online edition of the Italian magazine Abitare. You can read the full story here. Hope you enjoy it. Intervention at Lusso Essenziale: convention/exhibition/concert at MACRO Future, Rome, may 21-22-23, around Low Cost culture. An event organized by Lowcoster. Beyond. Short Stories on the contemporary. EXFORMATION: Reflective Design Course at Kth, Stockholm, Sweden. Human Camouflage: Shifting the Disguise From a Military to Civilian Purpose. 157 Nominated for “Italian Oxigen” see ABITARE Dec-Gen 2008. 157 has been nominated as finalist for “Italian Oxigen”, a new design prize lauched by Abitare to promote innovative design in Italy. If you are a keen supporter of the project, please vote for it in this popular jury competition: http://abitare.it/speciale-45-1/antonio-scarponi/ or see Abitare special issue Dec-Gen 2008 (pp. 85-87). RIKEA video will be screened @ fama_fame/fame_hunger: the video show. Het Wilde Weten Robert Fruinsraad 35 Rotterdam. 6-12 p.m. vernissage saturday – 6 p.m.
We’ve been nominated as one of the five finalists of the CURRY STONE DESIGN PRIZE a New International Design Award for Humanitarian Innovations. RIKEA project was invited at Fama_Fame / Fame_Hunger: an In Progress Project which advances in situ by each exhibition. RIKEA Published in Abitare n. 483: Torino Geodesign. Abitare promoted and covered Torino Geodesign: 48 communities 48 projects. RIKEA was one of them and so we’ve got two pages in Abitare n. 483 (pp.56-57). Torino Geodesign. Mobilizing the Collective Intelligence. 48 Projects for Turin. Catalogue of the Exhibition Geodesign, care of Stefano Boeri, Lucia Tozzi and Stefano Mirti. RIKEA is a project realized in collaboration with IKEA and the Balon free market merchant’s community. The Dreaming Wall and Human World in Architectural Design N.6 Nov/Dec 2005. The Dreaming Wall and Human World was recently published in AD Architectural Design N.6 Nov/Dec 2005 special issue ” Sensing the 21st-Century City: Close-Up and Remote” guest-edited by Grahame Shane and Brian McGrath, pp. 48-49. Entretien Avec Andrea Branzi in AMC Le Moniteur Architecture N.150 March 2005. A long interview with Andrea Branzi was published in AMC N. 150, March 2005, pp. 88-94. The interview was realised in November 2004 as part of my PHD research. Full text in Italian lately published in Abitare‘s blog thanks to Stafano Mirti.